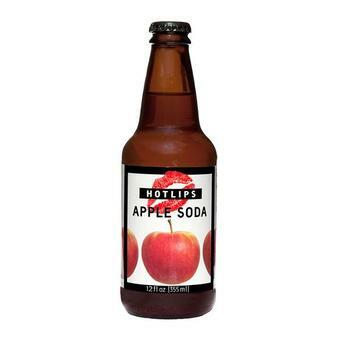 Way back when I reviewed Hot Lips Pear I said that I thought they should do an apple instead. Well, here it is, and it's as delicious as I expected. The best part about Hot Lips products are how simple they are. Carbonated water, apple juice, sugar and lemon juice. That's all it takes to make something delicious. The flavor can be summed up as "carbonated apple juice," but of course the added sugar and lemon give it it's soda-like zing. This is a simple product so I guess that's why it's such a simple review. I wish more folks did this. Simple can be better.